It is with much sadness that The Friends of Honeywood Museum have to record the passing of Paul Williams, long-serving Committee Member and one of our most devoted and inspirational supporters. Many of you will know that Paul Williams passed away in May. He will be greatly missed by the Friends both at a personal level and because of the contribution he made. Paul and his wife Shirley – the two were always very much together – first came into the orbit of the Friends of Honeywood through the activities in Oaks Park. Paul had an interest in the park since his childhood and he became actively involved with the Friends of the park and was a key figure in the successful campaign to prevent a crematorium being built on the land immediately to the south. The “Honeywood people” became involved in an attempt to raise interest in the Bakehouse, the last remaining part of the Oaks Mansion House. Paul and Shirley were invited to join the Friends of Honeywood and were soon on the Committee and making a significant contribution to the museum. They initially developed a publications programme. At first cards and then books using the new printing technologies that were becoming available through the internet. Paul had a vast knowledge of military history, especially of the First and Second World Wars. In the early years of his involvement he helped with an exhibition on the Second World War. His greatest achievement in this direction was the production of a magnificent exhibition to commemorate the 100th anniversary of the outbreak of the First World War. Paul made a major contribution to the history of the Oaks Park – firstly by producing The Long and the Short of General John Burgoyne’s Maid of the Oaks. He then went on to write his massive two-volume history of The Oaks which is likely to remain the key work on the subject for many decades. Paul made major contributions to Honeywood and local history but for those who knew him there was another really important thing: he was a thoroughly nice person with a great sense of humour and a massive fund of knowledge about all sorts of things – someone it is a pleasure and a privilege to have known. The Friends of Honeywood Museum sorrowfully report the passing of an old friend and champion, Peter Davalle. Peter was a famed journalist whose art and media coverage for The Times is legendary. I first met Peter in 2003 at the fine thatched house in Woodmansterne Road where he and his wife Joan had their home. Seeds of revolution were afoot. The council was proposing to turn Oaks Farm into a crematorium, a cemetery and even a cemetery for pets. The proposals contained very serious environmental and traffic implications. Fortunately common sense prevailed but not until the action group this meeting spawned had its say in a report to the Deputy Prime Minister and an appearance on ITV’s ‘Your Shout’. 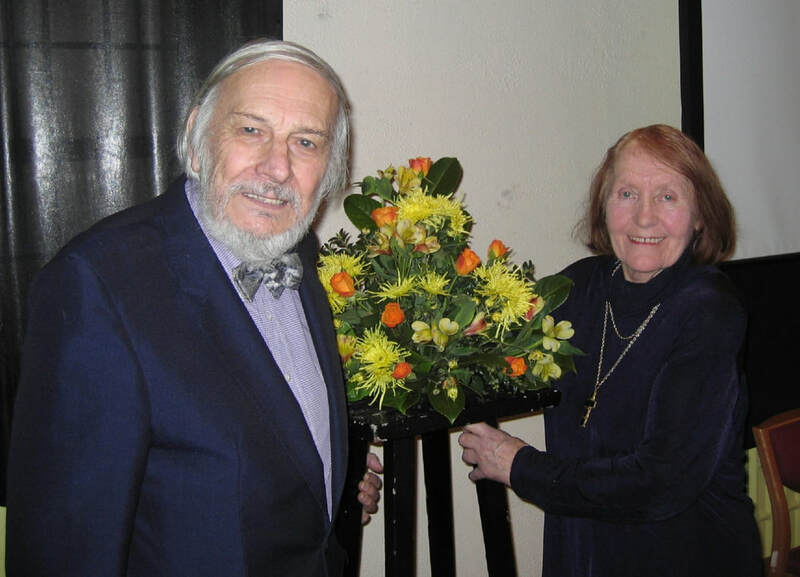 ​Peter and Joan were great supporters of the community and Peter’s love of the works of Charles Dickens and the arts was put to excellent use in the shows that this talented couple devised and performed over many years; touring far and wide to raise money for good causes. Peter and Joan raised thousands of pounds for charities including The Friends of Honeywood. But as he often told me it was Honeywood performances that gave him the most pleasure. He also remarked, somewhat wistfully, that we could do even better with more space, if only Jane, the Museum's curator, would get rid of that wretched billiard table! Peter was extremely knowledgeable, generous and kind. He always saw the best in people and was never angry when let down, just disappointed. Occasionally he would reminisce about his career and it is such a shame that he never wrote his memoirs. He never boasted about his interaction with the great stars of the silver screen but he was proud of what he had achieved. He had interviewed Laurel and Hardy in 1953 at the New Theatre, Cardiff, when a general reporter with the Western Mail. He also fondly recalled meeting Bella Lugosi the seminal Dracula. Peter put on the actor’s cloak, to which Lugosi replied in Transylvanian tones that “I’m supposed to frighten you, not you frighten me!” He had also had a brush with a feisty Lauren Bacall when they lunched together during the filming of North West Frontier at Shepperton Studios. Bacall was happy enough with being co-star to Kenneth More but she had been upstaged several times during shooting by Herbert Lom. She would not be consoled by Peter’s attempts to assuage her anger, he reminisced. Peter chuckled at what he recalled was one of his greatest blunders. Sophia Lauren, pressed for interviews by the British press, granted one interview – to Peter. The Times syndicated Peter’s scoop to other newspapers and their journalists gathered at his hotel to hear the results of his endeavours. As he rewound the tape he failed to realise that he had pressed the erase button! Before Joan was too ill to continue, their house was often full of music and laughter. Peter was an accomplished pianist and was never happier than when seated at his baby grand piano, with Joan in full voice. On birthdays the phone would ring and the strains of Happy Birthday would clear any blocked ear! On one occasion when Peter and Joan were on holiday in Turkey he caught the tones of a goat herder playing his pipes and rushed back to the hotel to practise and memorise the melody that he composed. He couldn’t write musical notation. It’s a haunting tune that was played at Honeywood during a musical tribute to Joan after her death two years ago. Honeywood will long recall Good Evening Mr Dickens, Peter and Joan’s signature show (picture on the right). Also, their Christmas show which packed the billiard room every year and other shows too, such as Tchaikovsky, Dylan and Dickens. Nostalgia, and his version of The Maid of The Oaks featuring a Honeywood cast (Peter called this one off event his ‘World Premiere!’). Peter has left his mark on the Internet which lists many of his play reviews. One other gem is a BBC recording of Peter’s interview with Veronica Lake, broadcast in 1969, when Ms Lake talked about old-school Hollywood glamour. Joan’s final illness drained Peter’s stamina to dangerous levels and he was only just beginning to sound really well again in the last few weeks. He had harboured a desire to live out his life in his beloved Venice (he had chosen a spot near the Opera House). He frightened his family with this desire but it was not to be and he recognised that, sadly, it wasn’t a practical option for him. Initially Peter was intent on resuming his shows but that was also not to be. His last appearance at Honeywood was on the 24th July 2011when we put on the tribute show to Joan ‘A Voice to Remember’ which featured recordings made by Peter of Joan’s fine singing and reading skills. He had decided by then to move away and set up home in a cottage a few miles from his family of whom he was so proud and who have forged a great charitable tradition of their own. At the end of the evening The Friends presented Peter with a signed edition of ‘Charles Dickens’ written by his friend, Simon Callow. Peter passed away peacefully in his chair with a glass of sherry by his side. As with life he did it with dignity and style. We send our deepest sympathies to Chris and Jane and their family. Their immense loss is shared by all who knew Peter and whose lives he touched. 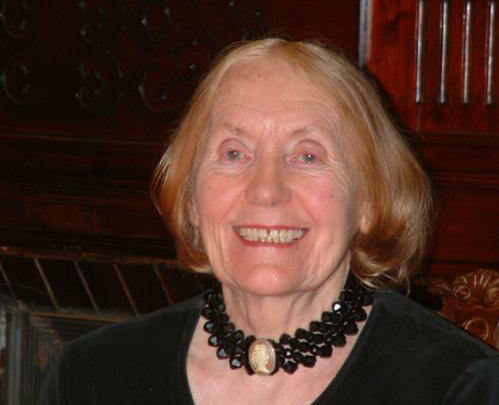 It is with the utmost sadness and regret that The Friends of Honeywood Museum report the death of our dear friend and enthusiastic supporter Joan Davalle on the 19th July. We extend our deepest sympathy to her husband Peter and recall their popular shows performed on our behalf with great affection and gratitude. Joan Davalle, nee Rees, was born in the village of Pontllanfraith in the Sirhowy Valley. She was Welsh from head to toe. A somewhat rebellious school child, Joan won the youngest scholarship to Cardiff College of Art. She graduated, of course and due to a bit of match-making by Peter’s sister, her life-long marriage was soon founded. ​Joan’s father was a blacksmith and her mother a teacher. From her parents she inherited her love of art and her strength of character. Joan was caring, generous, thoughtful and kind. She had a devilish sense of humour though and delighted in heated debate, which to be honest, she quite often generated. On those occasions, whether or not her opinion prevailed she would deliver any protagonist a verbal ‘clip round the ear’! Those who remember rehearsals for Peter’s production of The Maid of The Oaks at Honeywood in May 2007 will recall a few such moments. Joan and Peter’s hospitality at home was legendary. Peter would take up his seat at their baby grand piano and Joan would launch into song with her powerful, pitch perfect, contralto voice. Her speaking voice is recorded for posterity on our CDs of their keynote show ‘Good evening Mr Dickens’, as well as Joan’s reading of Val Coleman’s poetry. She was angered by the debilitating condition that was to last and advance for more than two and a half years. Joan, of course, was not a good patient and railed against her doctors and medication. Ultimately the burden fell on Peter and his care was tireless and a reflection of the real love they shared. Peter and Joan travelled thousands of miles together, performing shows and raising a huge sum of money for charity. I have heard that overall it was something like £300,000; outstanding and astounding. Peter, will need time to recover from his dreadful loss and the ravages of the ceaseless day and night attention he gave to Joan in her last years. However, he assures us he will not rest quietly with his memories and is determined to resume his shows. Any applause, he says, will be dedicated to Joan and we look forward to welcoming our own ‘Mr Dickens’ back to Honeywood when we reopen. In the meantime I am sure you will wish to join your committee in sending Peter our love and best wishes. 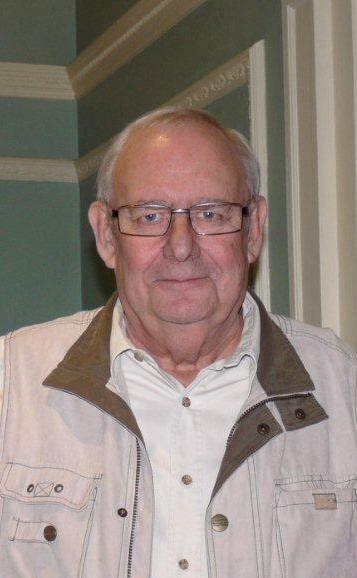 It is with deep regret that the Friends of Honeywood Museum announce the death of its Membership Secretary Stan Coleman on 29th April 2010 after a short illness. Stan had been an exceptional cornerstone in all areas of Honeywood’s development since its early days, including everything from visitor, volunteer, steward, Friend, committee member, winemaker and provider extraordinaire, mulled wine maker and supplier supreme, garden party dapper dresser, D.I.Y. expert unparalleled, archaeological team member, finds-washer unrivalled and wonderful Membership secretary. If anything needed doing, or help was required, Stan was always at the forefront of everything. Nothing was too much trouble or challenging in relation to Honeywood. His contribution was acknowledged a while ago as Stan and his wife Val were awarded Life Membership of the Friends of Honeywood Museum for their second-to-none commitment to the house over the years. Memories are wonderful things, for it is through them that we will all miss his kindness, helpfulness, laughter and life-long friendship. A void will now be left after the departure of one of life’s true gentlemen. ​​Our thoughts and much love go out to Val, Trudi, Christopher and their related families at this time.